I read Live Journal every day, as I have for over a decade, but rarely post, as I must keep up with Facebook, Twitter, Flickr, Instagram, and all the others. I figure it must be time for an update. Retirement is going well--I've been working on household projects, relocating Steve( rootbeer1)'s mom to assisted living here in Palm Springs, renovating our rental property and finding new tenants. I'm also learning a few new languages and software apps (Python, Hadoop, AutoCad) and working on becoming fluent in French, then tackling Spanish. Eventually I want to find some contract work that I can do from home--I'm all set up for telecommuting, and have Windows, Apple, and Linux computers. Healthwise, I've been managing my type 2 diabetes pretty well with medication, diet and exercise. I'm following a paleo/ketogenic diet, which is working slowly but surely. I also had laser surgery recently for my glaucoma, and hopefully can come off those meds. Another big event was the arrival of our cat Moochie three weeks ago. 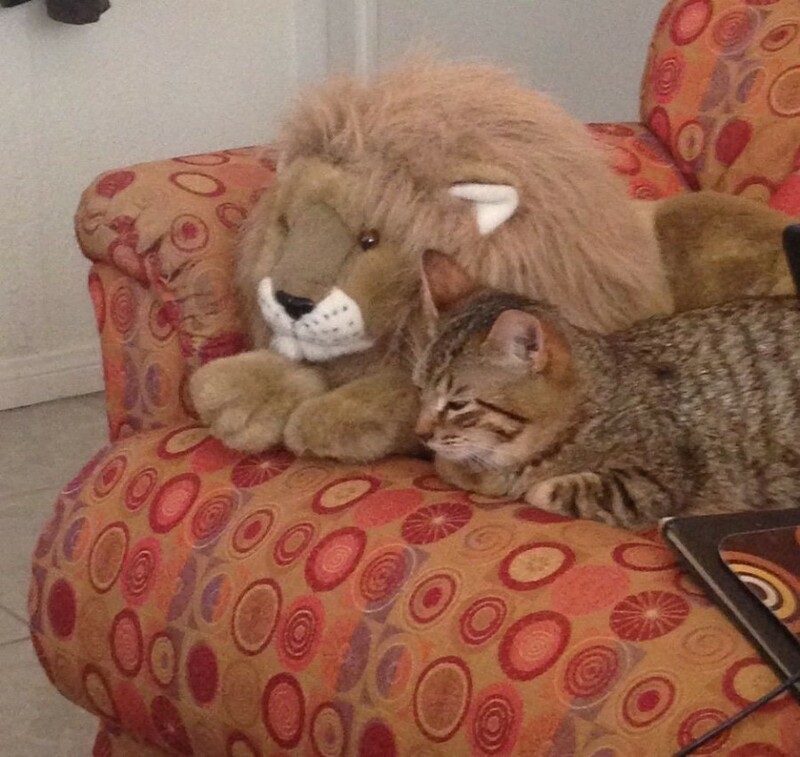 He's an adorable rescue brown tabby, very affectionate and intelligent. He's about 6 months old, and last week he got his shots, his microchip, and was neutered. He loves people and is so loving. Steve and I have never had a pet together, and we both grew up with lots of cats and dogs, so we're very happy. Glad to read the update, and more so to see you at the pool party! There are so many shiny things out there in the world today to keep us from focusing on LJ. Glad you're still here. Thanks for the update.